We were so pleased to finally have the opportunity to honor 5 individuals that combined between them have over 130 years of dedicated service to the Oak Bluffs Fire department. All the individuals honored were leaders in the department and all honorees were instrumental to keeping the department moving forward. Without their constant dedication and service, the department would not be where it is today! 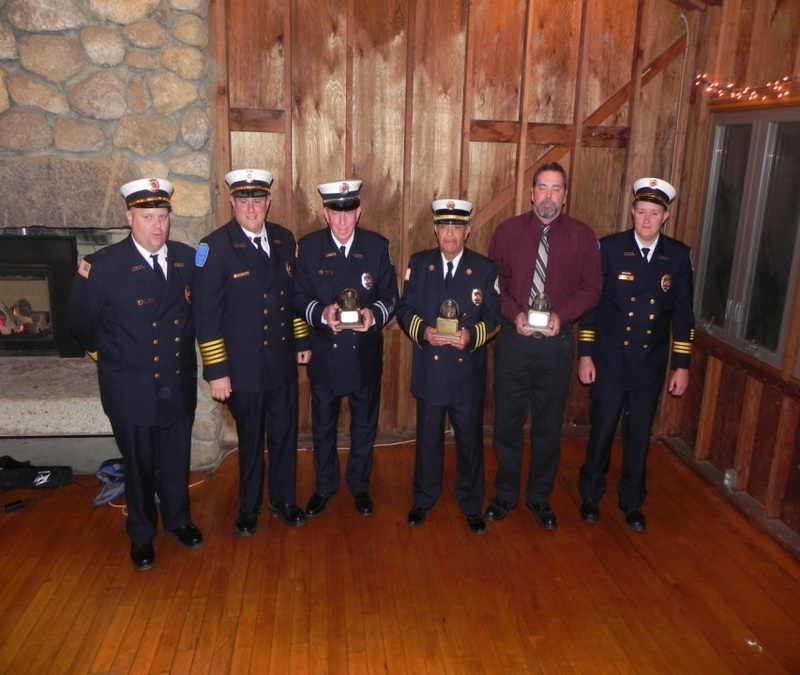 Above from left , Deputy Chief Broadley, Fire-EMS Chief John Rose, and Assistant Chief Manuel Rose presented retirement plaques to the honorees. **** Retired members honored; Captain Allan "Buddy" DeBettencourt Sr, 56 years retired Captain Ladder Company, James Mories Sr- 36 years retired Deputy Chief Engine 3 Company, Bruce O'Donnell- 28 years retired Assistant Chief, Captain Rescue Company, Gilbert "Pete" Forend (not present) - 29 years retired Fire Chief and Anthony Ferreria- 35 years retired Deputy Chief. Thank you all for your tremendous sacrifices made over the years in order to keep our department strong!! This was a long awaited party!!!! Thank you to all that attended!! !